Eligibility - Class X appeared / passed. Minimum percentage required to appear in our entrance test is 70% (Science + Maths) of Class IX / X Board exam. Only For CBSE / ISC Board. 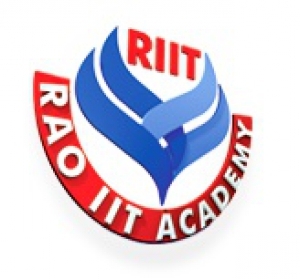 The Rao IIT Academy Mumbai is an educational institute which specializes in providing their students with the ideal resources and mentors to aid them in acing their IIT JEE examination to, ultimately, realize their dream of becoming IITians. Owing to their experienced faculty and years of enhancing their educational skills, Rao IIT Academy Mumbai has been able to provide consistent results as its students pave their way to their respective IIT admission letters. The added modern infrastructural facilities and latest technological integrations enable Rao IIT Academy Mumbai to offer their students with the ideal hub for productive learning. Rao IIT Academy Mumbai’s students have demonstrated remarkable abilities within the IIT JEE and IIT JEE-Advanced examinations. For the IIT JEE examination of the prior year, out of the total Rao IIT Academy Mumbai students who participated in the examination, 1 ranked among the Top 3 All-India Rankings along with 4 ranking among the Top 50 students of the country. Additional to that, a respectable 71% of the total Rao IIT Academy Mumbai students proved to be eligible for attempting the IIT JEE-Advanced examination. As for the IIT JEE-Advanced examination of the prior year, 2 students ranked in the Top 50 All-India Rankings with 5 students being in the Top 100. Additional to that, a total of 1456 students were accepted into IIT Institutes with the aid of Rao IIT Academy Mumbai. Shreyans Nagori - AIR 24 in JEE Main and AIR 93 in JEE Advanced. Rao IIT Academy Mumbai has nurtured the innate abilities of several brilliant minds. Parth Luthria, who achieved AIR-3 in the IIT JEE examination of 2018, credits his success to the curriculum followed in Rao IIT Academy Mumbai. The Academy has also nourished several other talents including Arjun Kashettiwar, AIR-33 for IIT JEE-Advanced 2018, and Pulkit Aggarwal, AIR-58 for IIT JEE-Advanced 2018. Rao IIT Academy Mumbai prides and owes its success to its experienced and skilled faculty members. The employed mentors and professors have accumulated years of experience within the educational industry. Additional to that, the faculty members are also well-versed with the IIT JEE patterns and hence, are able to effectively guide their students to acing the examinations. The faculty at the Rao IIT Academy Mumbai is devoted to providing reliable solutions to prepare for the IIT JEE examination. Along with their unwavering dedication, the faculty members are skilled enough to aid the students to realize their strengths and build on their flaws to heighten their chances of getting accepted into the famed institution. Rao IIT Academy Mumbai provides several scholarship awards to further promote and reward the efforts that students put in to achieve their dreams. The scholarship amount is dependent on the rank that the student secures in their IIT JEE and IIT JEE-Advanced examinations. If a student is able to achieve AIR 1 in both IIT JEE and IIT JEE-Advanced examination, they are rewarded with a total amount of 1.5 Crores, with 1 Crore dedicated to their achievement in IIT JEE and the remaining as a reward for their remarkable rank in IIT JEE-Advanced examination. Along with dedicated and experienced faculty that the Rao IIT Academy Mumbai employs, the additional infrastructure and facilities enable them to improve the academic quality that they provide to their students. Students and their performance are monitored regularly to ensure that they are effectively absorbing the concepts that are being taught. Along with the same, students are provided with regular Real Time All India Mock Test to allow the students to assess their knowledge and skills. Rao IIT Academy Mumbai also holds regular doubt sessions that are intended towards assuring that the students aren’t facing any struggles in understanding the concepts and theories. Rao IIT Academy Mumbai serves as the ideal learning hub for the students who aspire to achieve their dreams by securing their place in the renowned IIT institutes. Considering the facilities they provide to their students, the Rao IIT Academy Mumbai is arguably the best place for students to prepare for their upcoming IIT JEE and IIT JEE-Advanced examinations. Adding to that, their experienced faculty members allow for effective learning while also motivating their students to explore their dormant potential and talents to secure a bright future for themselves. Overall, accounting for the performance that the students have displayed and the devotion that the faculty demonstrates towards their students, Rao IIT Academy Mumbai is certainly the place to be at if one wishes to attain the necessary industry knowledge from experts to heighten their chances of securing a brighter future. Check out Best IIT JEE Coaching in Mumbai. Attend our start smart contest and you can win amazing prizes..
A-113, 1st Floor, Boomerang, Chandivali Farm Road, Near Chandivali Studio, Chandivali, Andheri (E), Mumbai, Maharashtra - 400072 . How do you rate RAO IIT Academy , Andheri East , Mumbai ? I, Saharrajit Sarmasarkar am a two year classroom student of RAO IIT Academy. i have secured AIR 98 in JEE- Advanced, AIR 49 in JEE Mains.Their excellent faculties have motivated me to appear for IIT examination and guided me towards excellence. Their round the clock, whenever required in my two years of preparation has enabled me to achieve this rank.